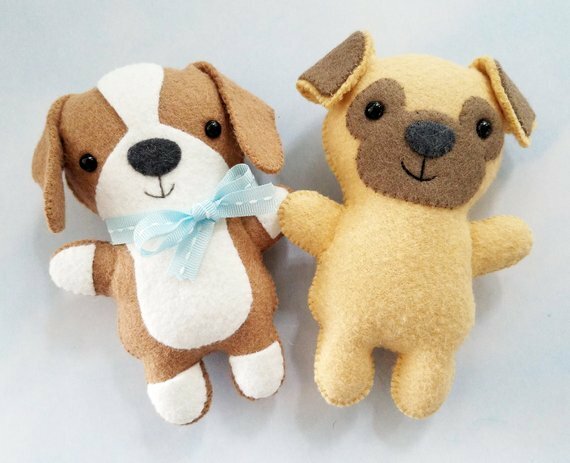 The beagle and pug softie toys are fun and simple to make from scraps of felt. They are each approximately 4” wide by 5 1/4” tall. Patterns can be enlarged or reduced to make the dogs any size that you would like. 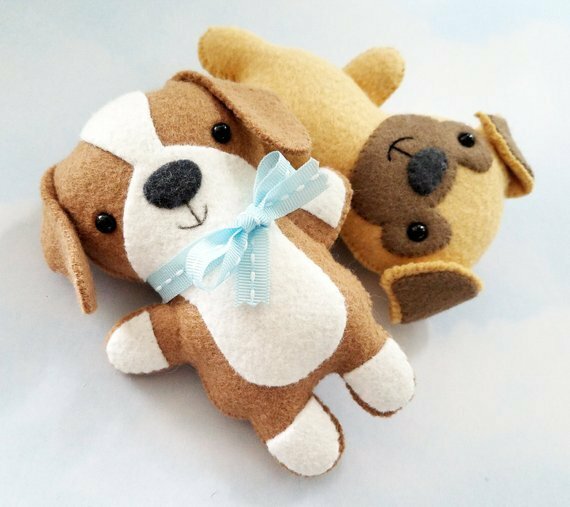 They are stitched entirely by hand, using a whip stitch around the felt edges and a stem stitch for the mouths. 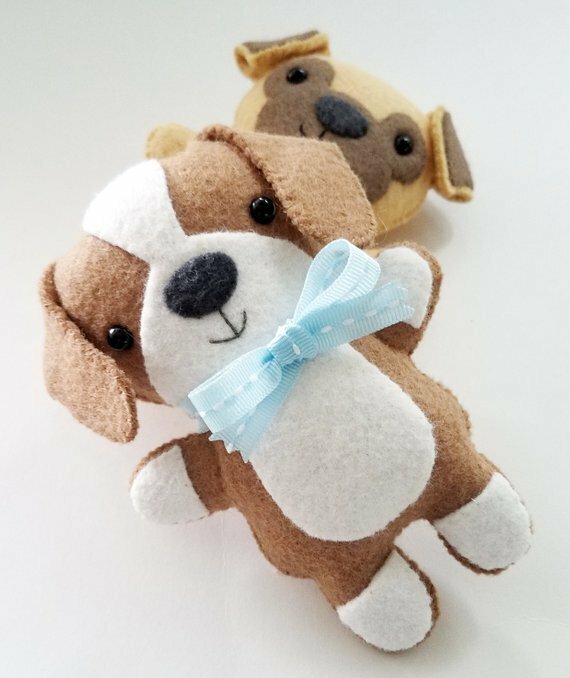 This 6 page PDF e-pattern includes full size patterns to make the beagle and pug, a materials list, detailed instructions written in English, and clear step-by-step photos. 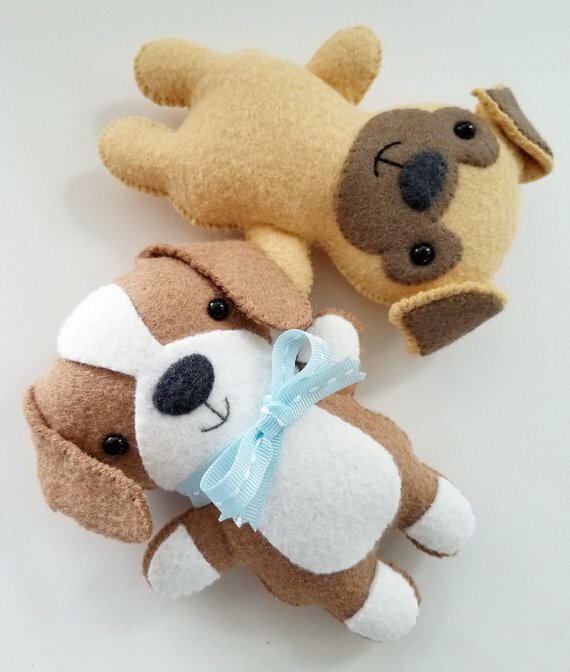 The beagle and pug softie toys are fun and simple to make from scraps of felt. They are each approximately 4” wide by 5 1/4” tall. Patterns can be enlarged or reduced to make the dogs any size that you would like. They are stitched entirely by hand, using a whip stitch around the felt edges and a stem stitch for the mouths. 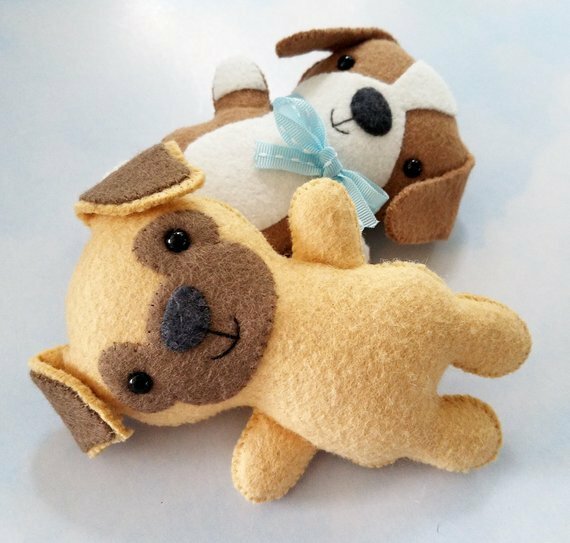 This 6 page PDF e-pattern includes full size patterns to make the beagle and pug, a materials list, detailed instructions written in English, and clear step-by-step photos.